"Deep Waters to Nurture and Empower the Remnant for the Last Days." Because of our hectic ministry schedule, phone calls are accepted by appointment only. If you have questions or need help, please email our office at biblicallife@biblical-life.net. We will be able to quickly answer your question, no matter where ministry takes us. Most believers understand the covenants that are in the Bible, but most do not know that there is more than one type of covenant. By studying the four types of covenants in the Word of God, you will receive a roadmap on how to grow in the grace of God and to vecome the person that God has called you to be. God is calling you to transition from being a servant of God to becoming the Bride of Messiah. 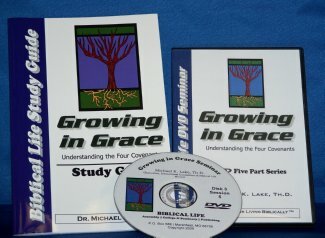 Five 1 hour sessiosn on 3 DVDs, plus a free MP3 CD. Copyright Biblical Life Resources. All Rights Reserved. eCommerce Software by 3dcart.